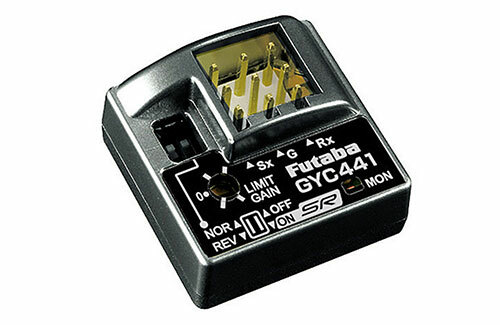 The GY441 is a micro gyro from Futaba has been designed specifically to be used on RC cars including those using Futaba's SR (Super Response) technology. It can also be used in other single axis functions such as performance boat rudders. This GY441 is both easy to use and set-up with an informative instruction sheet to guide you through the process. The design is lightweight allowing you to use it on almost any scale car and compact enough to fit in tight locations. There is a trim pot to adjust the limit/gain adjustment and a pair of micro switches to select gyro direction and set the mode between normal and SR modes.